Chinmaya Mission Reunion was started in December 1982 under the guidance of Swami Pranavananda. In 1996 the centre acquired some land. Now, Chinmaya Mission is located on the East coast of Reunion Island (near Saint-Suzanne city). The centre is spread over five acres and is very green with a spring and small river flowing close by. There is accommodation for 5 residents and 1 visitor. The satsang hall can comfortably seat around 200 persons. 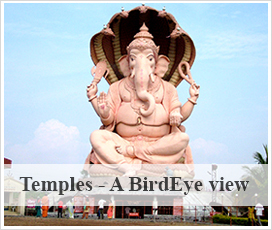 The temple is located in the upper part of the lush green land. Construction of the temple started in May 2002. 5 years later, on 9th September 2007 the Mahabhishekam was performed under the guidance of Swami Pranavananda and Swami Adwayananda along with the participation of Br Akhilesh and Br Shripad. The temple building itself is bright yellow and white giving a joyous and serene feeling to all devotees. The main deity inside is Lord Vigneshwara, ie, Lord Ganesha. 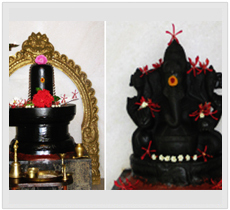 There is also a sanctum for Shri Sundara Murti, a Shiva Lingam. Both are carved in stone. The ever-holy Tulsi surrounds the temple along with a number of flowering bush and lots of young trees.